MIDLOTHIAN, VA – Southside Speedway continues their fifty-eight-year tradition of great local short track racing in Central Virginia on April 21, 2017. The track opened last Friday night with one of the largest Late Model car counts in the state. 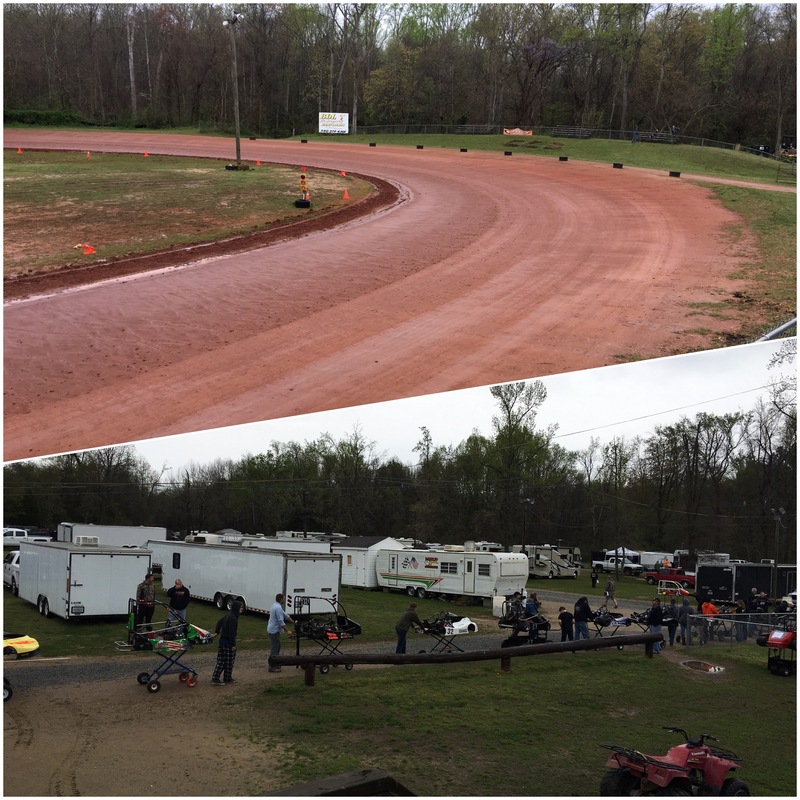 The family-owned track in Chesterfield, Virginia prides itself on being a family-friendly venue entertaining generations of fans. There are six different divisions of racing to make up their second race of the season. Late Models, Modifieds, Grand Stocks, UCARS, Legends and Bandoleros all set to take the green flag. Chris Dodson will look to continue his dominance at the speedway and go for two wins in a row. However, he will have the likes of Mason Bailey, Grayson Cullather and Eddie Johnson to keep at bay. Kyle Wood and Dan Rogers both looking for repeat results after thrilling Modified and Grandstock finishes. Front gates open at 6:00 p.m. Qualifying starts at 6:00 p.m. and racing gets underway around 7:30 p.m. We will be on site to provide LIVE, lap-by-lap, coverage on our Twitter feed and hopefully get the approval to stream a Facebook live video of a pre-selected race. Ashland, VA – “Grooming champions since 1984” – the slogan for the VDKA, a six race, Maxxis National qualifier series, for some of the best drivers in the Mid-Atlantic. Running two races at three tracks throughout the state of Virginia and even Elizabeth City, the VDKA brings great competition those drivers as young as five years, to the seasoned veterans hunting the big pay outs. Mother Nature permitting, we look to kick off the 2016 campaign this weekend as Capital City host a double header. With forecast looking grim, race officials decided to bump the start times up for everything, hoping to get practice underway by 9:00 AM. That pesky R word had other plans. Drivers and crews are forced to take shelter in their trailers and under their tents hoping the weather clears up. Seventeen classes are on the docket this afternoon for state points, along with eleven PRO classes. A total of 28 classes here today looking to make laps around the 1/4 mile, moderately banked, clay speedway. 20 laps the scheduled distance for all classes once we get underway. Now, with 28 classes and over 500 laps of racing and just two of us, we cannot possibly cover everything. Follow us throughout the day and into the evening on our Twitter feed (@theweeklyracer). We will do our best to keep everyone up to date through out both the points and PRO races. Midlothian, VA – No seriously, talk about some “beatin-n-bangin” to kick off night one of our two-night short track double header! Southside Speedway, a 1/3-mile short rack that is all but flat was the point of interest. A track I personally have never been to so it was nice to check it off our list was also interesting to see how a non-NASCAR track operated. Because of pesky interstate traffic we were not able to make it out to practice or their euro style qualifying but we were just in time for pre-race festivities and the drop of the green flag! A very impressive field of LMSC rolled into the Richmond area this weekend as Mother Nature cooperated with us to help put on a show for the fans, and well a show is what they got! Chris Dodson – the point’s leader – put is #0 car on the pole earlier in what they call “practicfying” which is nothing more than group or euro qualifying. This is something that is done quite often at tracks that are on a time crunch. Dodson set the pole with a time of 14.830 sec (80.836 MPH), Steve Zuskin, Alex Brock, Eddie Johnson, and Dusty Ellington completed the Starting Five. Dodson would eventually pull a #5 chip, inverting the top five. Did take long for things to get a little crazy in the LMSC 30-lap feature, right off the bat it was like Ellington either missed a shift or spun the tires, either way it opened the door wide open for Eddie Johnson to grab the top spot, and honestly run away with it like he just stole the bullies lunch money! Zuskin also able to capitalize on the start and jumping all the way back to the number two spot. Ellington on the other hand forced back to the fourth or fifth position. Things seemed to be pretty calm, cool, and collected for the first half of the race. Other than Dodson testing the waters and diving his machine into one trying to make a pass, wasn’t able to do so and had to chase the machine up what little banking there is.